Made in house our Trellis Panels come in a range of designs from standard square, diamond cut, bowed top, scalloped top and fan trellis. Our Trellis Panels can be used for a variety of purposes in the garden and are especially ideal for climbing or trailing plants. 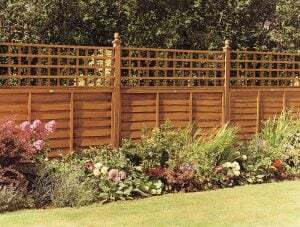 For a full list of our Trellis Panel range, sizes and prices. Click on the Buy Now button.